Fierce devotion to client success. Vast web technology experience and expertise. Committed to creative and effective solutions for our client's needs. Let us help you stand out by building you a stunning website optimized for your needs. We get this. Let us do our thing, so you can focus on yours. Need an app built that will work on all mobile devices? No problem. We’ve got you covered. Enhance your business profile with eCommerce solutions. Shopping never looked so good. 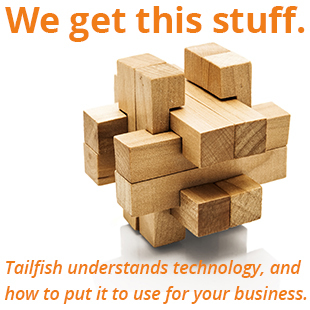 Since 2002, Tailfish has truly “enjoyed” great success and blessing. We enjoy what we do. We help companies and organizations communicate better, grow their business, and expand their influence. And we like doing it. We enjoy our clients. We have been blessed to work with a diverse group of clients who have grown to become friends in business. 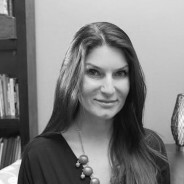 We feel a vested interest in their success and truly enjoy our relationships. We’re people people. As a result, we have enjoyed many blessings the past twelve years as our business has grown. Not only do we have a keen understanding technology, we strive to understand you and your business. We listen well, collaborate with you, and act as a part of your team. We are creative people who tend to think outside the box. We love to help you reach your current and prospective customers in new and engaging ways. We’re pretty good at what we do! To us, character is as important as competence. 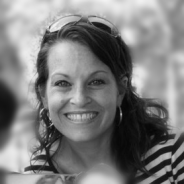 It’s no accident that our team is filled with men and women of integrity. We do what we say we’re going to do, and we will work hard to earn your trust! In a game of inches, we go the extra mile. 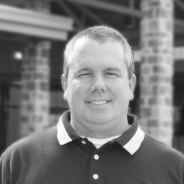 Our clients will tell you that Rob Shiflet and the Tailfish team will go above and beyond all expectations to ensure we put your company or organization in a position to communicate more clearly and operate more efficiently. Our commitment to outrageous and personal customer service sets the bar beyond that of anyone else we know. Our expectation of our own work is higher than our clients. We are committed to creating custom solutions that are ideal for your situation; then we train you and your team to maintain and manage them internally. We get technology, and we understand how to put it to use to better communicate your company’s capabilities in a crowded market. 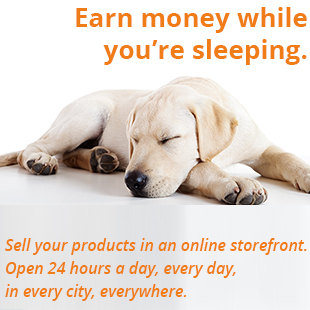 Sell products online and your store is literally open in every city in the world, 24 hours a day, seven days a week. If a picture is worth a thousand words, how much more an HD streaming video? If you’re going to say it , say it clearly with streaming video. Either integrated on your site, or on our dedicated ticket sales site, Tailfish can help you sell downloadable print-at home tickets to your organization’s events. 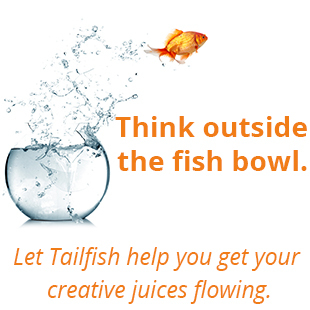 Tailfish can help you set up your eMail Marketing Campaign, managing your distribution list, writing compelling copy, and developing an attractive and engaging design. One of the most important decisions your company will make, determining your logo and your brand voice. Let us help you get your company’s launch or rebrand off to the right start. Individuals and companies are increasingly using social media to read, shop, research, advertise, increase client base and more. What are you doing to reach them? From a simple brochure to a complete marketing campaign, our creative designers have the experience to design all of your print collateral. We’d love to hear from you. You can reach out to us using the info above, or complete the form below to have someone from Tailfish contact you within 24 hours. Imagine that you have something you want to share with us. 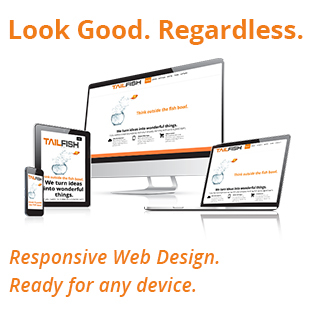 Tailfish Solutions now provides online payment for domain renewals, invoices, and deposits. Your invoice will have a link which will take you directly to the payment page and pre-populate the appropriate fields. You can pay with any major credit card. If you would like to make a payment online, please visit our secure online payment portal.